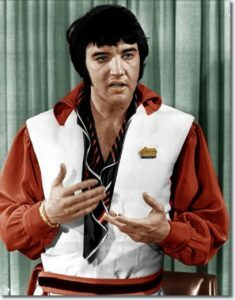 This is one of Elvis’s rare press conferences, he didn’t do too many during his career. This footage was shot on February 25, 1970 at the Astroworld Hotel. 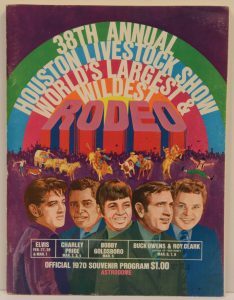 Elvis would be performing his first live shows in Houston since the 1950’s. Elvis hadn’t performed on stage since 1961, as he had movie commitments. Elvis made his return to the stage in Las Vegas on July 31, 1969 at the International Hotel. 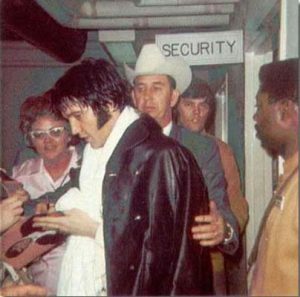 Elvis flew in at Houston Intercontinental Airport for the first – and the last time. He kept asking the driver: “Are we in Houston yet?” during the 26 mile trip from the airport to the Astrodome. From then on, Elvis used Hobby Airport and arrived quicker to his hotel in the years to come. This would be where I first met Elvis, after my father made arrangements with Tom Diskin and Colonel Tom Parker. 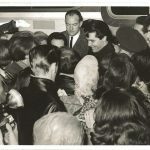 My dad had known Elvis in the 1950’s and he wanted me to meet ‘The King’. 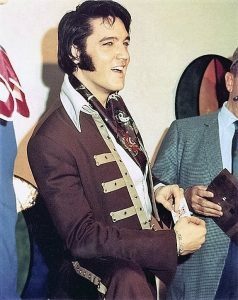 Elvis extended his hand and said “Hi, I’m Elvis Presley.” I shook his hand and said “Nice to meet you Mr. Presley.” Elvis replied “Naw, I’m Elvis…’Mr. 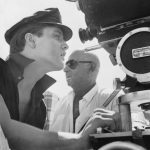 Presley’ – that’s my dad over there!” Elvis went on to sign my lP of “Clambake” and said “You like this record?” I replied ‘Yes, I do” Elvis looked amused and said “There’s some good songs on here, let’s see: “Guitar Man”…”Big Boss Man”. That’s the first time I saw that twinkle in Elvis’s eyes. 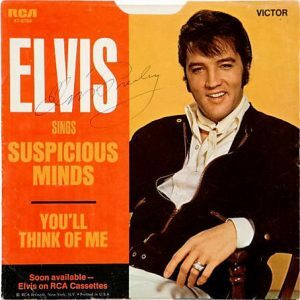 Elvis was riding high in the charts with “Kentucky Rain”and his other recent hits like “In The Ghetto” and “Suspicious Minds”. 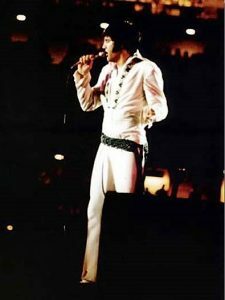 The shows that Elvis’s audiences at the Dome would see was like no other, they would see Elvis’s perfected shows as he had done them at Las Vegas’ International Hotel. This would be Elvis’s first engagement outside of Vegas since 1961. 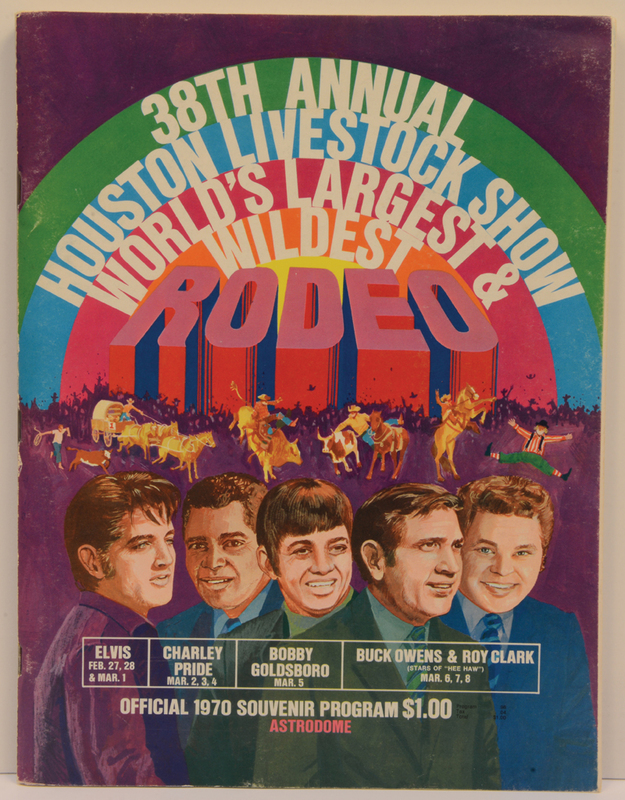 Elvis was driven to and from his gig at the Houston Livestock Show and Rodeo by race car driver A.J. Foy in his customized bus. 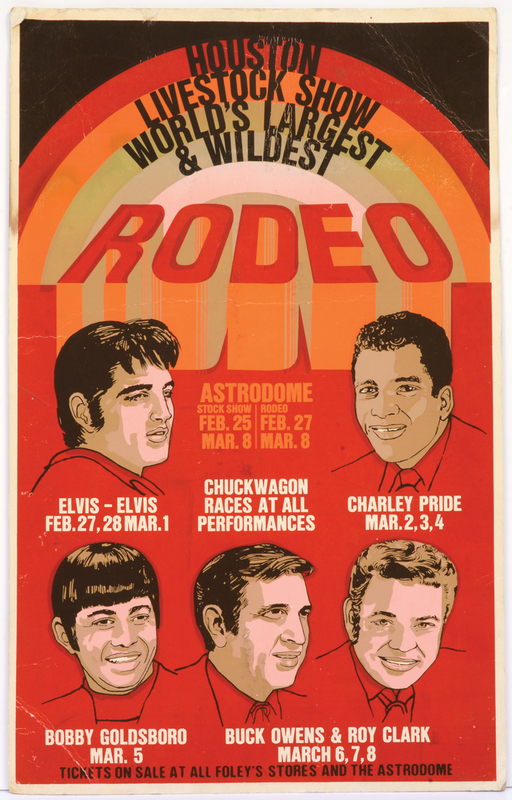 At first Elvis didn’t know it was Foyt who drove at a high rate of speed from the Astroworld Hotel to the Astrodome. elvis siad “Man, slow down!” Foyt replied “Hell, Elvis you are safe with me! I’m A.J. Foyt!” Elvis never questioned him again. Upon first seeing the inside of the Astrodome for the first time, Elvis asked “They expect me to fill this S.O.B.? 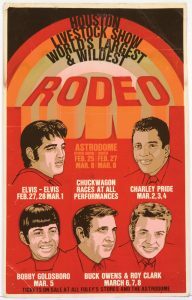 !” Any fears that he may have had were gone by the time Elvis watched from his window all of the cars navigating their way into the Astrodome parking lot. 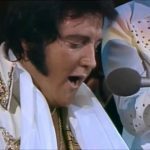 All of Elvis’s matinee and evening performances for this engagement were sold out!